Your one word is enough for me to live. Where you gone my love?? Fallen In Love With My Husband.. Sometimes, someone's helplessness would turn out to be your benefit. Sometimes, someone's inappropriate way of help  would lead you to your dreams. When this helplessness takes the inappropriate way of help, it turned out to be a journey of Desires. They found new desires by fulfilling each other's benefit and dreams. Join the story of Abhi and Pragya's desires filled journey, with their hot passionate moments. It's Continuation from abhi and tanu marriage of memory loss track. Abhi confesses pragya about his love and the next minute rejects falling for tanu mother drama. Abhi gets back his memory at the mandap and goes to bring back his fuggy, but it's too late his fuggy leaves the city. How he get back his fuggy back is the story. It takes two years leap. Never wanted to get into relationship only because his profession may cause that person's life into danger! She lived a life with dreams and found that he ll make it true! His one statement of making her away from him twisted their life! The journey took a turn when they met after four years! She saved his life and he realised his love for her! But Do she love him still? We don't get anything so easily..
Is it easy to cage a heart??? Is it possible that a heart can beat for other person??? But will it be possible for one more heart to beat between them??? This is the season 2 of my story "why can't you love my wife???" 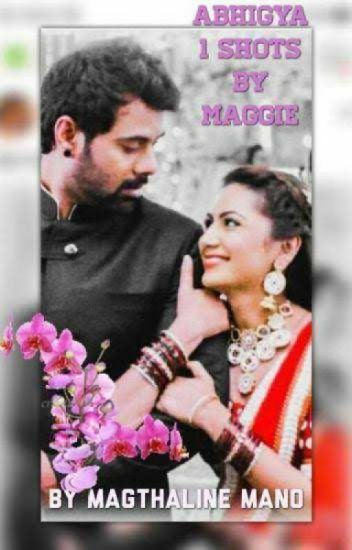 A fun filled story on our abhigya.. The marriage is fake for them.. Both can't be quite without arguing..
How will be their journey..
You are mine......ONLY mine . They were in a relationship, which kind of relation , it is only known to them. But their relation changed after the accident. She loved him so much and he also know that . Is he loved her ? She is one side a bold and a complete possessive lover BUT other side a simple, shy and a timid  girl . Lets look at their love story , which they are going to write together, fighting against all the battle for each other.